ORIGINAL! Beware of FAKE, cheap imitation. 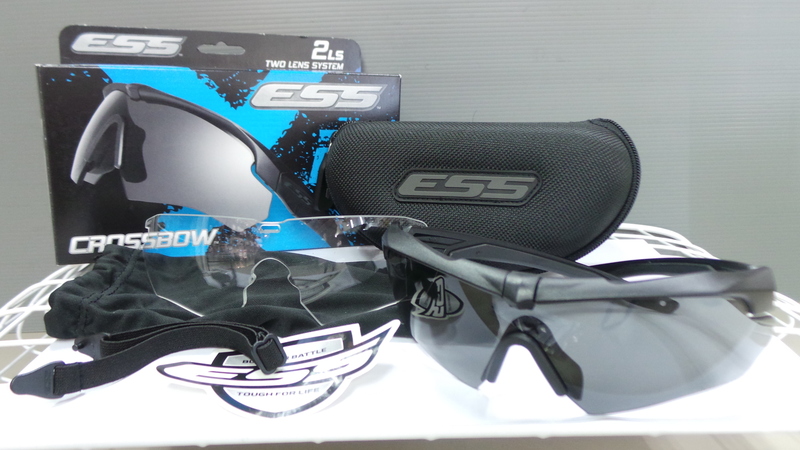 This provides BULLETPROOF protection for your eyes! 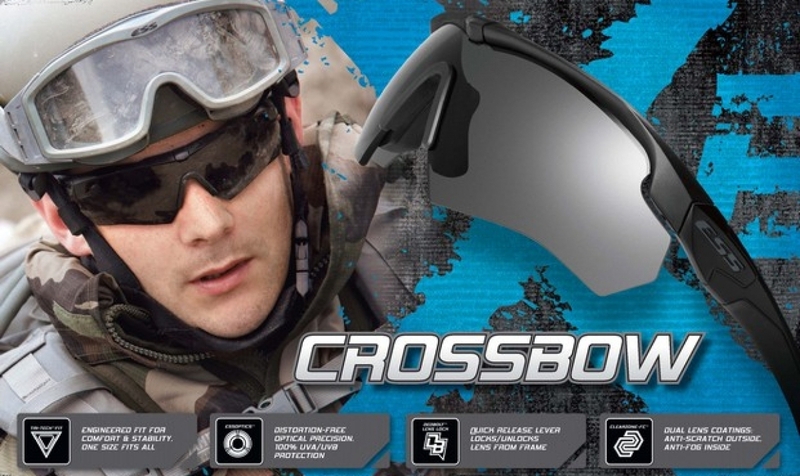 When you try on the Crossbow®, you&apos;ll discover it&apos;s unlike any other ballistic eyeshield. Experience the Tri-Tech Fit™ frame that achieves an amazing universal fit with max comfort and zero pressure points. Then notice the lenses. They won&apos;t fog. That&apos;s thanks to groundbreaking ClearZone™ FlowCoat technology, engineered to eliminate fog inside and prevent scratches outside. As you stare down your objective through distortion-free ESSOPTICS™, you&apos;ll see just how optically precise vision can be. When you&apos;re ready to switch tints, the innovative DedBolt™ Lens Lock pivots up for easy release, then clamps down for rock solid retention under impact. 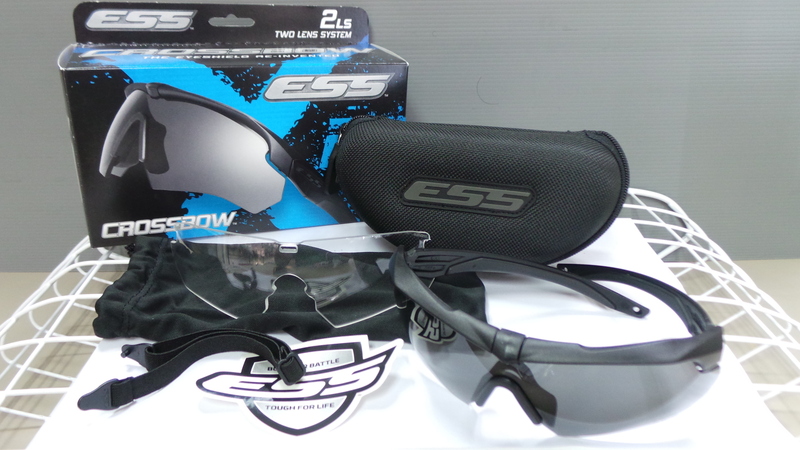 It&apos;s from ESS, so of course the Crossbow is compliant with U.S. Federal OSHA, ANSI Z87.1-2010, CE EN 166 and U.S. MIL-PRF-32432. Form, Fit, Function...Perfected. Get your hands on a Crossbow and see for yourself. features complete eyeshields with Clear lenses and Smoke Gray lenses.